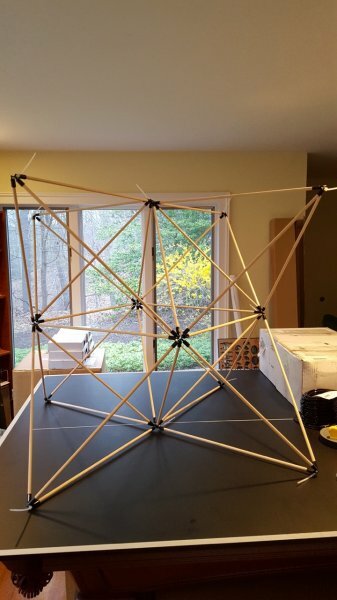 Pieces required: 36 ZipStix and 14 releasable zipties. 1. 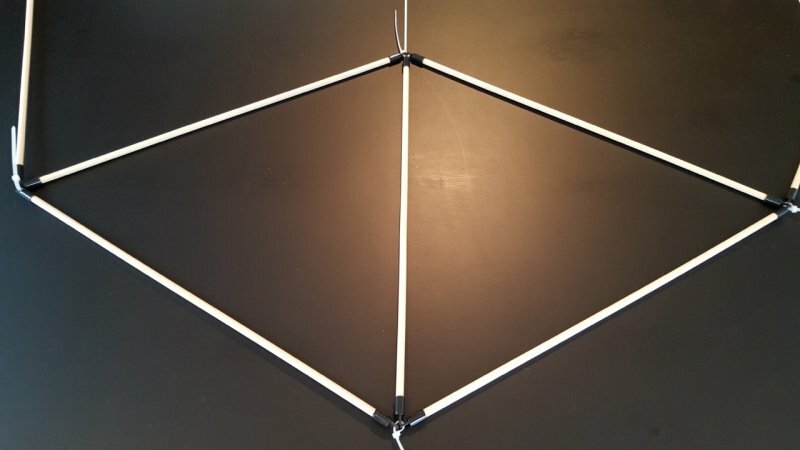 Create a triangle as in step 4 of building the regular tetrahedron, except with two extra ZipStix linked to each corner. 2. 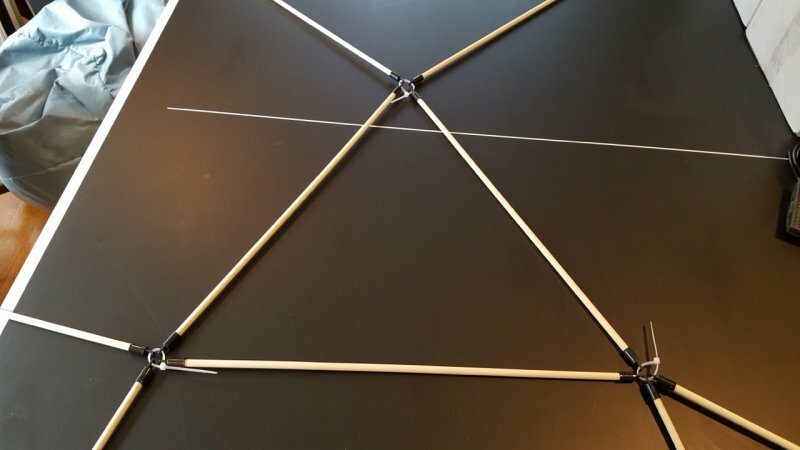 Bring together the free ends of two of the ZipStix connected to adjacent corners of the triangle, and link them together with two additional ZipStix. 3. Take another pair as in the previous step, and link them with the other end of one of the additional ZipStix just added and one further additional ZipStik. 4. Now there should be four free ends of ZipStix. Link them. 5. 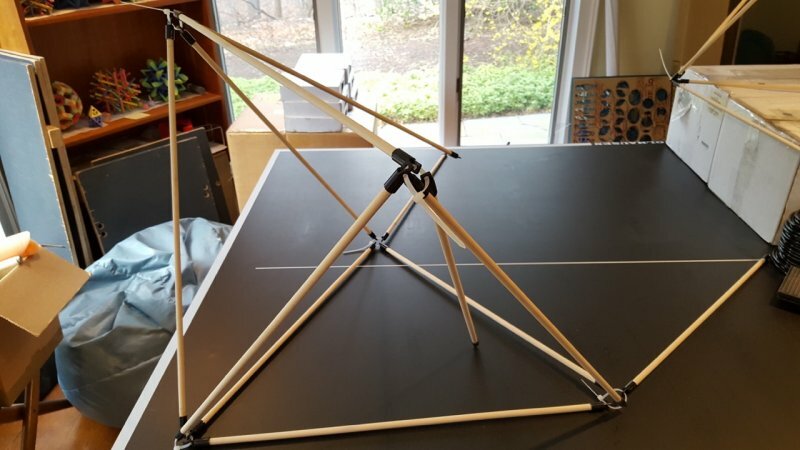 This creates a rigid shape called a regular octahedron, with eight triangular faces. 6. 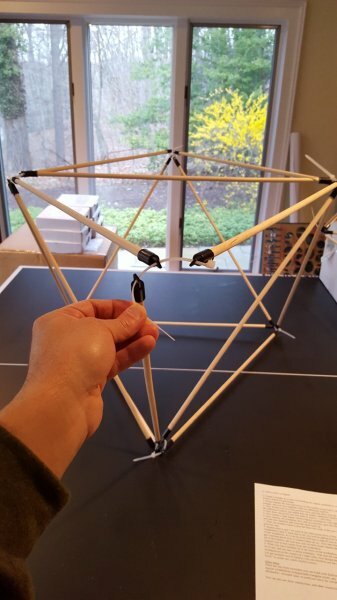 Now choose one triangular face, and successively open the ziptie at each vertex and add one new ZipStick and close the ziptie back up. 7. 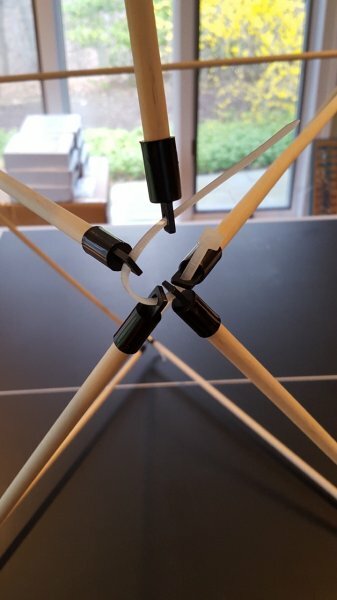 Then use another ziptie to join the three free ends of the new ZipStix added in the previous step. 8. Repeat steps 6 and 7 for each of the other seven faces of the octahedron you completed in step 5. 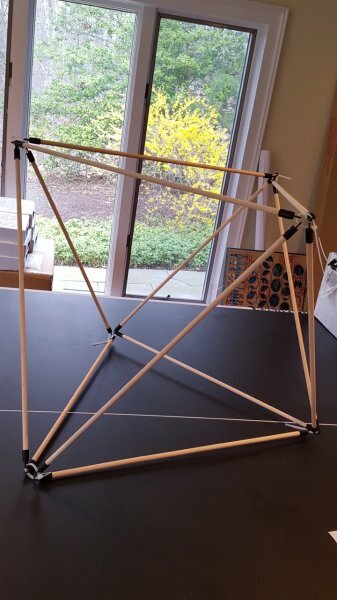 Note that in all, you will be adding four new ZipStix at each corner of the octahedron, so it can be more efficient to add all four at once, as long as you don’t get confused about how to connect them all up. 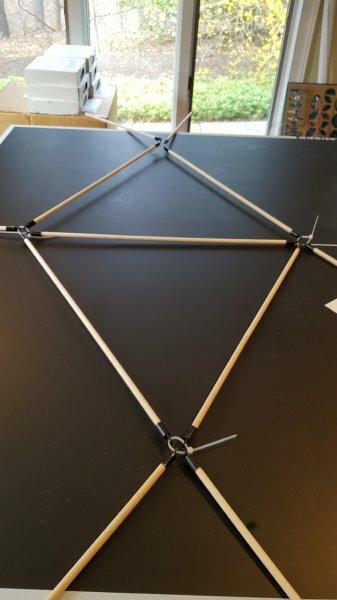 Also note that for the optimal routing of all of the ZipStix, the four new ones at each corner should ideally alternate with the original four at that corner from the octahedron. 9. When you have finished all of the faces of the octahedron, all of your ZipStix should be in use, and you have a stella octangula. Note that the outermost corners of the stella octangula are at the corners of a large cube, even though there are no cubes involved. 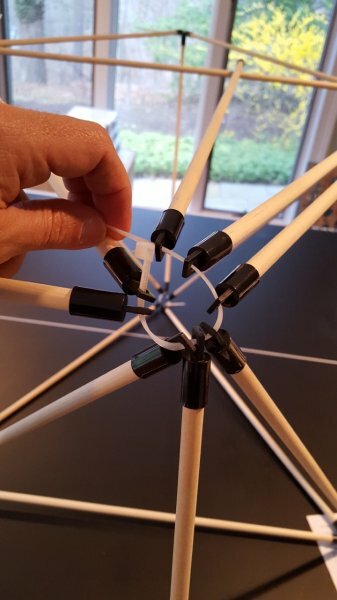 If you get multiple sets of ZipStix, you can therefore use the stella octangula as a “building block” to create tall, stable ZipStix towers.